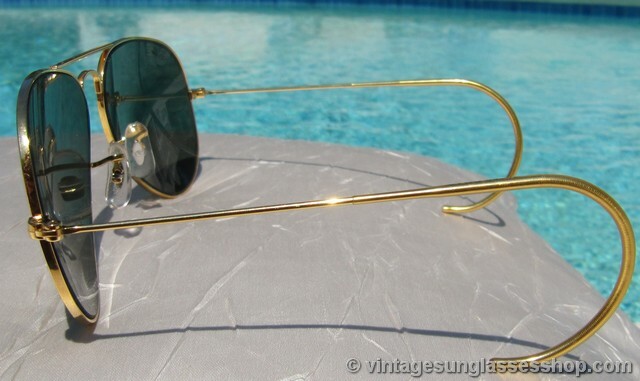 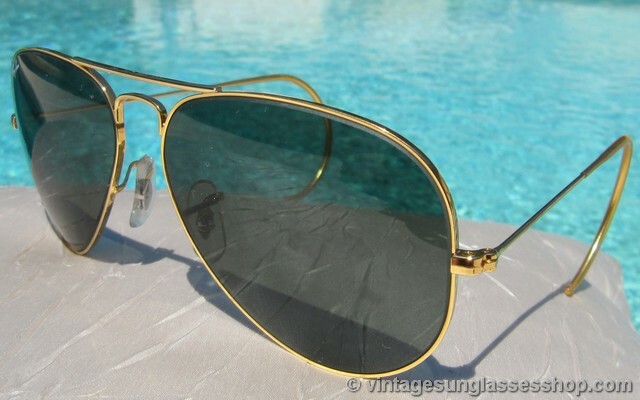 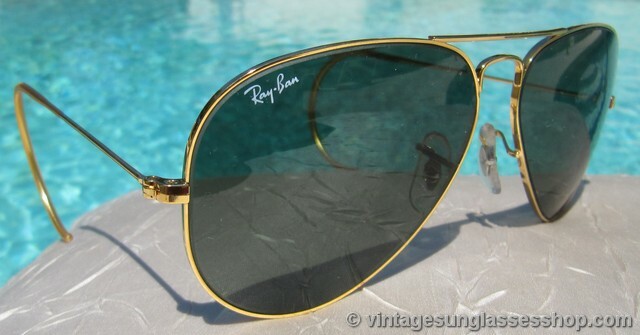 Vintage Ray-Ban Z0280 Classic Metals Arista 58mm G-15 shooter sunglasses are the 24k Arista version of the classic Ray-Ban 58mm shooter, top quality all around and an icon of modern design. 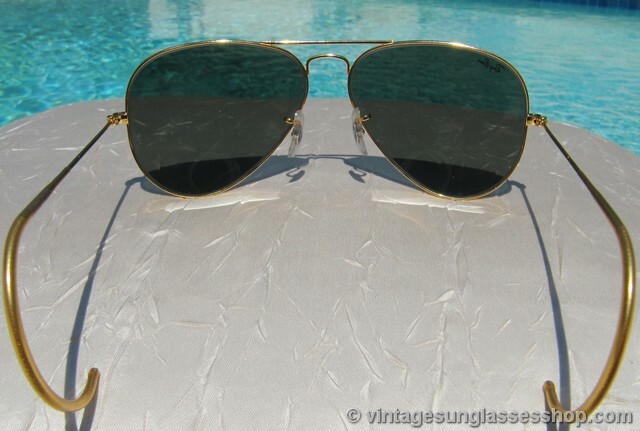 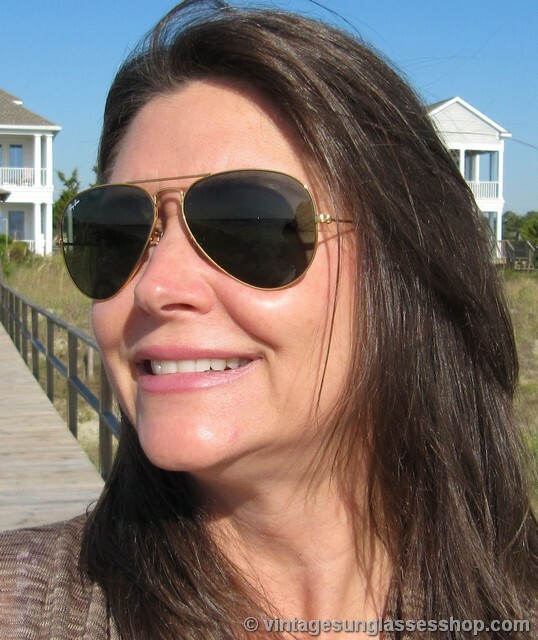 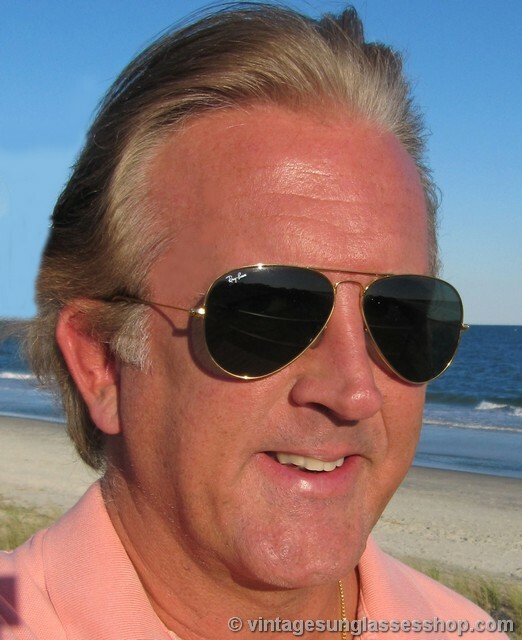 The frame measures approximately 5.25" temple to temple making it a popular choice for men and women, and the B&L G-15 aviator lenses measure approximately 2.125" x 1.875" at the widest points. 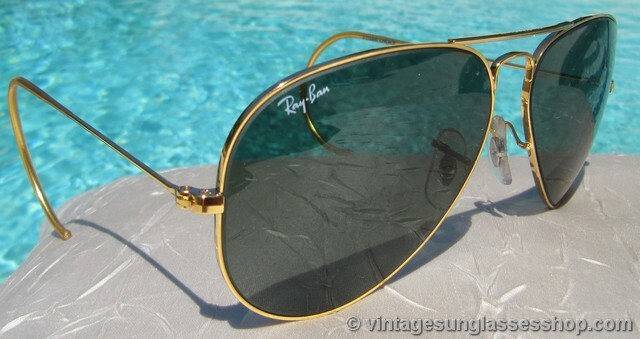 The top of the nose bridge is marked B&L Ray-Ban USA and the bottom of the bridge is marked B&L Ray-Ban 58  14, all impressed in the metal, while the model number Z0280 OKAS is embossed on one ear stem. 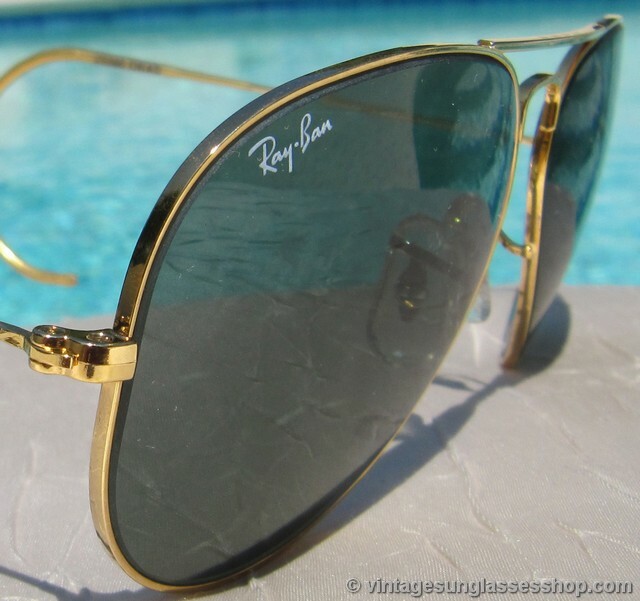 The right lens is laser etched Ray-Ban in italics, and both lenses are laser etched BL near the hinges. 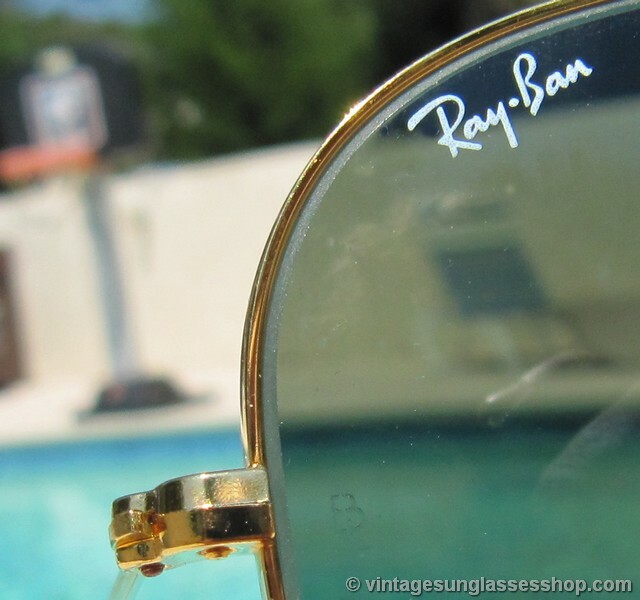 Authentic new old stock mint condition vintage B&L Ray-Ban Classic Metals Z0280 Arista 58mm G-15 shooter sunglasses with original case, original box, and in many cases original lens stickers and warranty paperwork.